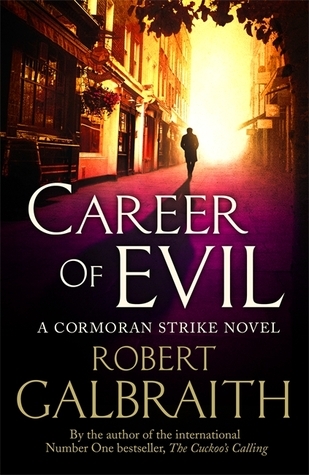 I really enjoyed the first two Cormoran Strike novels. They're not Harry Potter, obviously, but they're still interesting and a lot of fun. I have still not started this series. I know, it's terrible, especially as I'm a huge Harry Potter fan. I have been meaning to read it for so long - hopefully I'll catch up before the third book is released! They're definitely not Harry Potter, but JK is amazing at everything she puts her mind to. Thanks for sharing! Shockingly, I've never read any of Jo's non-Harry Potter books. Other than Very Good Lives, but I don't really count it. I'm kind of scared to read them, honestly! WHAT IF THEY RUIN THE BEAUTIFUL FACADE OF FLAWLESS JK ROWLING LOVELINESS?! I'm so glad there is another book in this series - like you I enjoyed the first two books. I don't normally read books in this genre but there is something about these. Oohhh, I am so excited that the release for this is coming up! I really enjoyed the first two books as well, so this is definitely on my most wanted list!